Dentist, MLA (1900-1903), MLA (1903-1907), MLA (1908-1910). 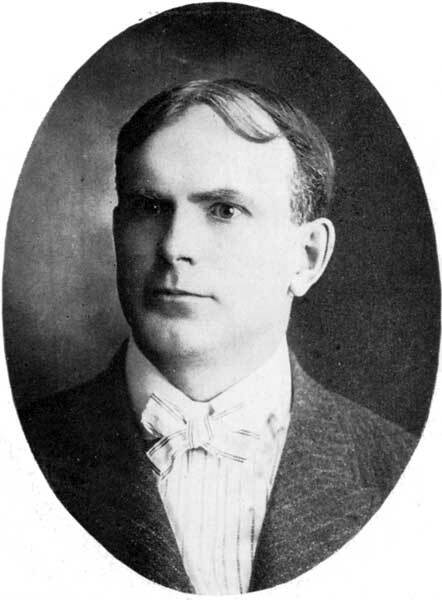 Born at St. John, New Brunswick on 8 October 1865, son of John and Mary McInnis, he came to Winnipeg in 1881 and was educated at Manitoba College. In 1886 he attended Philadelphia Dental College where he obtained his D.D.S., after which he settled at Brandon in 1899 and practiced dentistry. He was President of the Manitoba Dental Association and first President of the Canadian Dental Association (1906). He also organized the Brandon Fire Insurance Company. In 1898 he married Clara Beckwith. He was elected to the Manitoba Legislature in 1899, 1903, and 1907, and was sworn in as Provincial Secretary and Minister of Municipal Affairs on 26 June 1907. McInnis was a fine baritone singer and a well-known cartoonist. He was President of the Brandon Horticulture Society. On 4 November 1907, McInnis died suddenly in Brandon from blood poisoning resulting from appendicitis. Stanley William McInnis, Dictionary of Canadian Biography XIII, 649-50.